The Chicks are delighted to welcome Margaret Dumas, author of the Movie Palace Mysteries. The first in the series, Murder at the Palace, is available now! 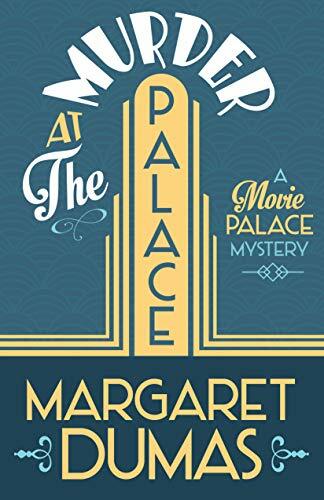 The first book in my new Movie Palace Mysteries series—Murder at the Palace—came out a few weeks ago, and while that’s fabulous and amazing, it’s also nerve-wracking and stressful, because it means that now it’s time to try to promote it. For an introvert like me, the talking-about-my-book part can be harder than the writing-my-book part. But this time things are different. Murder at the Palace is set at the fictional Palace movie theater in San Francisco. The historic theater is a glorious throwback to the early days of Hollywood, showing only the classic films that are loved by the people who work there, including the new manager, Nora Paige. Nora’s movie-star husband has just left her, so she’s fled Hollywood’s gossip mill to take refuge at the Palace. She should feel safe there, among people who love old movies as much as she does. Granted, she would probably feel safer if she hadn’t found a murdered man on her first day on the job. And she would probably feel saner if she hadn’t made friends with the bubbly ghost of an usherette named Trixie who died at the Palace in 1937. I’m having such a good time with this series because I, like Nora, love classic movies. I’m the kind of person who doesn’t consider the question “What’s your favorite movie?” to be answerable in less than a weekend. I mean, how could it be? What kind of movies are you talking about? Can you compare a musical with a drama? Can you pit Bette Davis against Katharine Hepburn and hope to have anything other than a lengthy, delicious argument? You cannot! That’s been the best thing about working on this series. In the past, when I’ve promoted my books, I’ve mainly talked about…my books. But with this series, my readers seem to want to talk about movies. Which is so much easier! 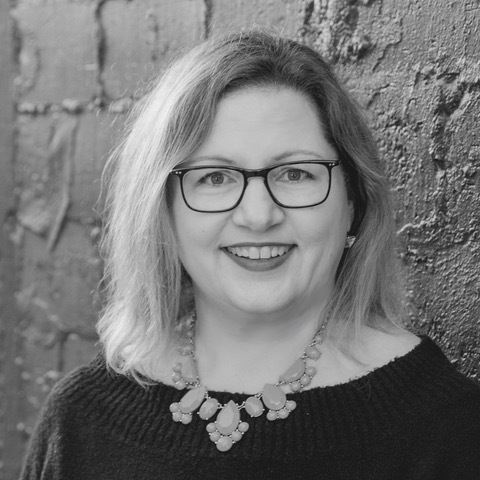 I’ve now started having signings, and going to conferences, and for the first time in my career this introverted writer is looking forward to talking to people. Because I know we’ll be talking about movies as well as books. And—I think you’ve probably picked up on this by now—I love talking about movies. I also have some pretty strong opinions about them, which can have its pitfalls. For example, I met a guy on a dating site (because I’m single and I think that means I’m legally required to be on a dating site) and he ghosted me after I told him my favorite John Wayne movie was The Quiet Man. I have to admit I kind of admired him for sticking to his principles. He was all about the Westerns. It never would have worked out. For years my friends have told me I should blog about classic movies, just to give them an idea of where to begin. And probably to stop me from staring at them in blank incomprehension when they told me they had never seen My Fair Lady. I mean, how can a person walk around in the world without having seen My Fair Lady? But I digress. Okay, so what are our takeaways from all of this? One: Watch more classic movies. Really, you won’t regret it. Two: If you’re going to be at Left Coast Crime or Malice Domestic, find me and let me know what some of your favorite movies are. (Note: I didn’t say ‘your favorite movie’ because we just won’t have the time for that.) Or drop me a line at my website. Three: Seriously, watch more classic movies! Margaret Dumas writes books about smart, funny women who are searching for adventure, love, and the occasional murderer in the San Francisco Bay area. Margaret’s first mystery series featured Jack and Charlie Fairfax as a crime-solving couple in the tradition of Nick and Nora Charles. Her new series, the Movie Palace Mysteries, is set in the world of classic Hollywood movies and the people who love them—including the ghost of an usherette who died in 1937. When not writing, Margaret spends most of her time reading mysteries and watching classic movies. See what she’s up to at www.margaretdumas.com. Previous post ← Is “frousins” a thing? It should be. What a fun post! And I totally agree about the movie thing. There is no such thing as one movie. I have several cases of dvds, categorized, and the classics are in a case by themselves. People nowadays just don’t get the classics. The next one for me to find is the original Thomas Crown Affair. Seen there make, want to see the original. As far as favorite actors go? Henry Fonda and Humphrey Bogart are the best! But I could go on about classic actors too. I will see you at Malice and we will discuss movies! Congrats on the book, Margaret! Yeah, I can’t answer the “what is your favorite movie?” question in less than at least a few hours. Drama? Musical? Western? WWII? Comedy? So many movies. Margaret, congrats on the new book! I really enjoyed Murder at the Palace — Trixie is a hoot! I’m also a fan of old movies (I’m saying “old” because some of my faves may be less than “classic.” I enjoy B detective films and movies that are so bad they’re good, as well as the classics!) I look forward to catching up with you at a conference sometime and talking movies. Thanks for visiting with the Chicks today! Movies that are so bad they’re good…YES. Welcome, Margaret, and congrats on your debut! This series is right up my alley. I cut my movie-fan teeth on classic film double features, complete with MovieTone newsreels, cartoons and pre-lights-out live organ music, at a repertory theater in Portland called The Roseway. These movies influenced my life so much. While my friends had Whitesnake or Devo posters in their rooms, Greta Garbo and Katharine Hepburn graced my walls. Very much looking forward to perusing your blog and chatting classic films at Malice. Congrats again! Oooo, Kathy, can you do a blog post on The Roseway someday? Sounds so cool! I haven’t watched enough classic movies. Heck, I just watched My Fair Lady for the first time a few months ago. Does it help that I’ve seen the play numerous times? As a theatre person, I say yes! What did you think about My Fair Lady? It’s got a special place in my heart because my grandmother introduced it (and many other musicals)…loved watching movies with her. I love the movie and the play! It was the first thing I ever saw on Broadway, in a revival with Richard Chamberlain as Professor Henry Higgins. So good! I’m actually not a fan of My Fair Lady. I hate how Higgins treats Eliza. But I love what “D. E. Ireland” has done with the characters in their mysteries set after the story ends. You and me both, Mark! Which is all to say, I can’t wait to read your new series! (And you have the perfect name for it, though I do keep wanting to refer to you as Margaret Dumont, lol.) Thanks so much for visiting the Chicks today, and YAY for your new release! Love this–and can’t wait to talk movies with you at LCC. What a terrific thing, to be able to talk about movies and mysteries…and movies IN mysteries! Two of my favorite things. Love (and teach) films, classical through contemporary. And Vickie Fee is also a movie-and-mystery person too, with her forthcoming Café Cinema Mystery Series! Congratulations, Margaret! So looking forward to reading your book. Hope you’re having a wonderful launch and thanks for visiting us today. Maybe Margaret would be gracious enough to visit us again and do a classic movie co-post with Vickie. That would be so fun! Love this! I’m a total old movie buff. I live for Preston Sturges. I go to silent film screenings. My mother used to take me to the NYC revival houses when I was a kid. I’m such a fan, in fact, that I keep mixing up your name with Margaret Dumont! Another vote for Quiet Man from me! Although Maureen O’Hara and the setting may have been the real draws for me on that one, even more than John Wayne. So very nice to “meet” you, Margaret. Your books sound fantastic (just visited your website) and congrats on the new series. Awesome cover, wow! Looking forward to speaking with you in person at Malice. Congratulations on the new series, Margaret, I’ll definitely have to look it up! I hope to run into you at Malice coming up so very soon! My (older) movie focus has been on films that could be considered so awful they’ve come full circle into being absolutely wonderful. I’m thinking of Murder by Death (oy the stereotypes!) and the film about Hans Christian Anderson starring Danny Kaye–sweet enough to make the fillings fall out of your teeth! But the singing, ah!